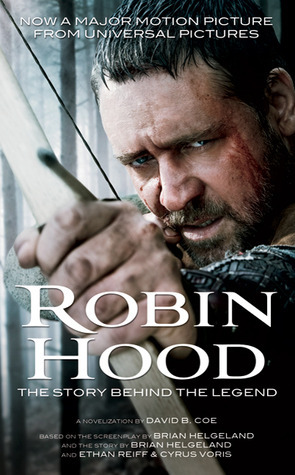 Publisher Description: Oscar® winner Russell Crowe stars as the legendary figure known by generations as Robin Hood, whose exploits have endured through out popular mythology. In 13th century England, Robin and his band of marauders lead an uprising against the crown that will forever alter the balance of world power. And whether thief or hero, one man from humble beginnings will become an eternal symbol of freedom for his people. Robin Hood chronicles the life of an expert archer, previously interested only in self-preservation, from his service in King Richard’s army. Upon Richard’s death, Robin travels to Nottingham, a town suffering from a despotic sheriff and crippling taxation, where he falls for the spirited widow Lady Marion (Oscar® winner Cate Blanchett), a woman skeptical of the identity and motivations of this crusader from the forest. Hoping to earn the hand of Maid Marion and salvage the village, Robin assembles a gang whose lethal mercenary skills are matched only by its appetite for life. Together, they begin preying on the indulgent upper class to correct injustices under the sheriff. With their country weakened from decades of war, embattled from the ineffective rule of the new king, and vulnerable to insurgencies from within and threats from afar, Robin and his men heed a call to ever greater adventure. This unlikeliest of heroes and his allies set off to protect their country from slipping into bloody civil war and return glory to England once more. My thoughts: The best part about this book was the reader, Robin Sachs, but I might be a bit biased because I like low gravelly voices talking to me in foreign accents. Side note: As I was searching for information about Robin Sachs, I discovered that he had died last year. There’s a small part of me that I just spent 2 weeks listening to a dead man read me a story, but then again, I also don’t like to watch Heath Ledger movies anymore, so clearly I have some issues around famous dead people. Back to my thoughts: There were many days when I sat in my driveway after having come home, continuing to listen to Robin read me the story. The story itself wasn’t half bad (though it was only half good). It was just so godawful SLOW, and I don’t mean Robin’s reading. Because it was a movie adaptation, there’s only so much characterization it can get into, so we’re told and not shown a lot of character development. The spacing and timing was difficult to place – some events felt like they should have been spaced out in time longer than they were for those developments to take place, but the story described them as having only been days. For instance, the revitalization of Nottingham was supposed to have happened in a week or some such nonsense, along with Robin’s change of heart from solitary crusader to loving husband and leader of a revolution. My other main complaint is that though most of the story is told from either Robert Locksley’s or Robin Longstride’s point of view, the horribly written epilogue is told in Maid Marian’s voice. This left me with a bad aftertaste for the book itself, as it was so inconsistent with the world building already in place. In short, unless you’re solely interested in hearing a deep voice speak in English, Welsh, and Scottish accents to you, don’t bother reading OR listening to this book. Posted on October 23, 2014 October 23, 2014 by WildlyLivedPosted in Series: book reviewTagged adult, audio book, book, book on cd, book on tape, books, historical fiction, movie adaptation, read, reading, robin hood, Series: book review.